The Book of Kells in Trinity is arguably Dublin’s most famous work of art but what of all the internationally renowned masterpieces housed in the Dublin galleries? Here are ten of the major artworks waiting to be discovered behind doors you walk past every day. Caravaggio painted this dramatic scene of the arresting of Jesus in 1602 for the Roman Marquis Ciriaco Mattei. 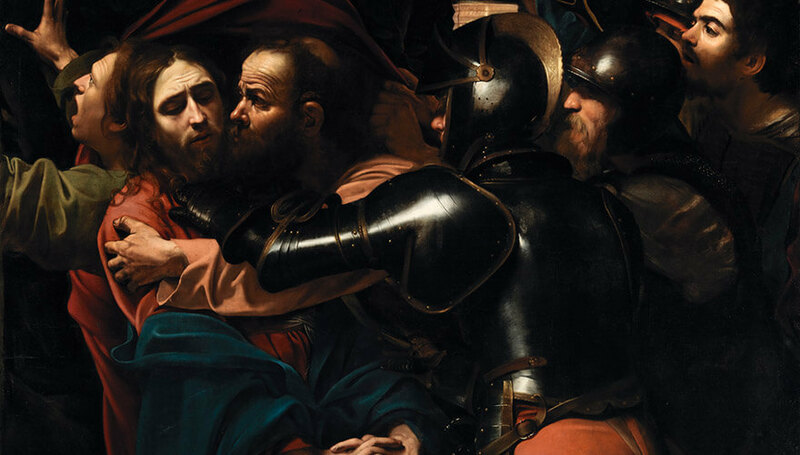 We see Judas identifying Christ with a kiss and the guards moving in for the arrest. The darkness of the painting is lit from within by a lantern held by St Peter, although this is considered to be a self-portrait of Caravaggio himself. The painting was considered lost for 200 years, before being discovered in the dining room at the Jesuit House on Leeson Street, Dublin, in 1987. It had been hanging there since 1930 but had been considered a copy. The removal of layers of dirt and varnish revealed it to be the original. 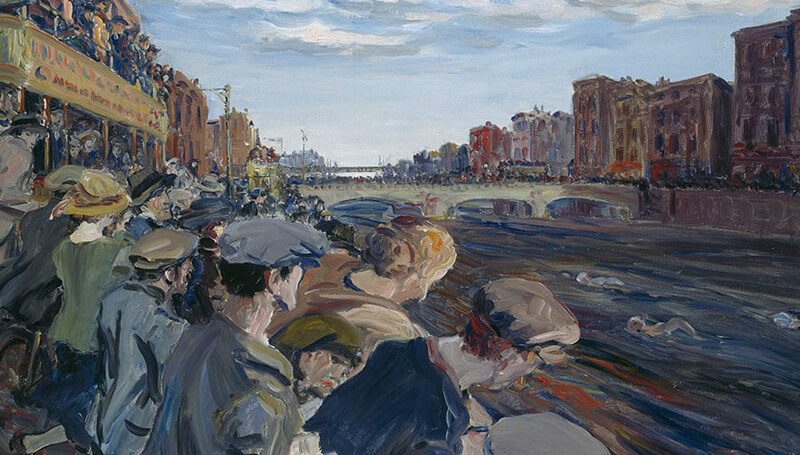 This expressionist painting from 1923 captures the excited crowd attending an annual swim that continues in Dublin to this very day. Here, we view the Liffey Swim from the vantage point of the ordinary spectators who lined the city’s river, leaning over the walls to catch a glimpse of the race. Interestingly, it was for this painting that Yeats won a silver medal in the Olympic games, which, between 1912 and 1948, featured artists as well as athletes. The catch? All the art must depict sporting scenes. Yeats painted himself into the scene – he is the man in the brown fedora, his wife Cottie is the lady in the yellow hat. The bridge in the distance is O’Connell Bridge. For January only, every year, the Turner watercolours go on display in the National Gallery. In accordance with the stipulations of art collector Henry Vaughan who bequeathed the 31 paintings and sketches to the gallery in 1900, this is when the natural light levels are lowest. 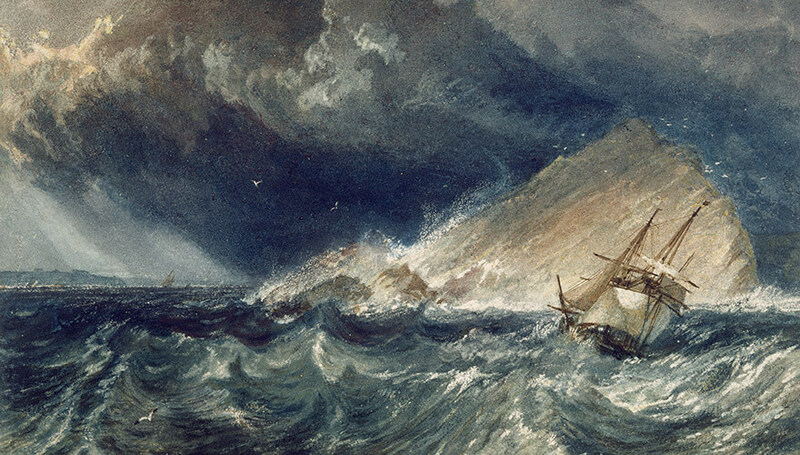 Painted in 1814, this painting depicts the drama of the ship as it battles the roiling sea to pass the Mew Stone, where many lives had been lost. Turner was relentless in his pursuit of light and atmosphere – a master of capturing the energy of storms at sea. At the age of 67, he is said to have tied himself to the mast of a ship in a storm to experience the elements directly. 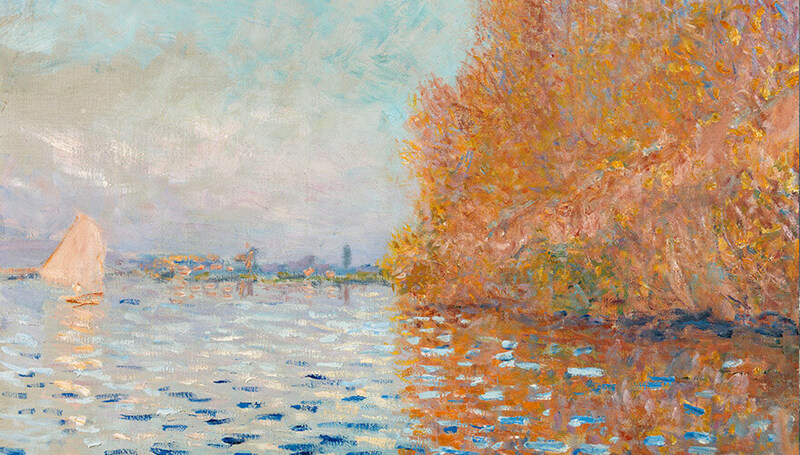 This autumn scene by the famous French impressionist was painted in 1874 during his residence at Argenteuil on the banks of the Seine where he painted from a boat which he used as a floating studio. The painting is worth ten million euro. Rather shockingly, in 2012, a visitor to the gallery punched the painting causing an extensive tear in an act of vengeance against the state. After eighteen months of restoration, the piece is now displayed behind glass. The culprit was jailed for five years. 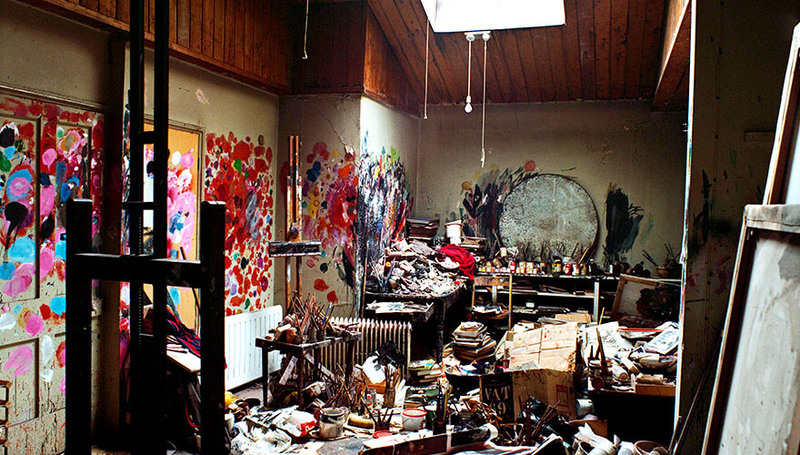 Arguably a work of art in its own right, this was the studio at 7 Reece Mews, South Kensington in London, Bacon’s home for the last thirty years of his life. In 1998, it was deconstructed and moved piece by piece in a painstaking fashion across the Irish Sea. Time stands still inside the climate-controlled room, the colourful chaos still looks fresh – half painted canvases line the floor and walls alongside stiff old brushes and a cracked mirror he used for self-portraits. Outside, interviews with Francis Bacon play on large television screens. Seven artworks hang in the gallery, including an unfinished self-portrait that was found on his easel when he died. 7 Reece Mews Francis Bacon Studio. Photograph: Perry Ogden Collection: Dublin City Gallery The Hugh Lane. © The Estate of Francis Bacon. All rights reserved, DACS. 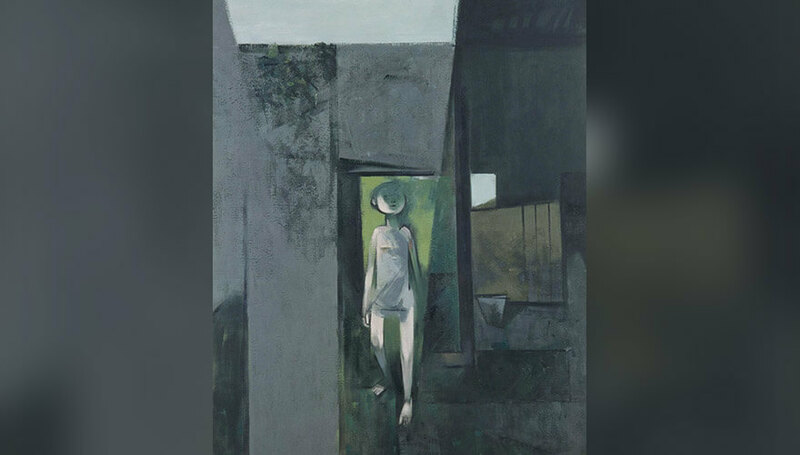 With its sinister undertones of isolation and loss, Child in a Yard is an oil on canvas work which forms part of ‘The Grey Period’ series of paintings, which are concerned with a stark post-WWII world. According to Le Brocquy, “art is neither an instrument nor a convenience, but a secret logic of the imagination. It is another way of seeing.” He often collaborated with Séamus Heaney and Samuel Beckett and is considered by many to be the most influential figure in Irish painting in the 20th century. 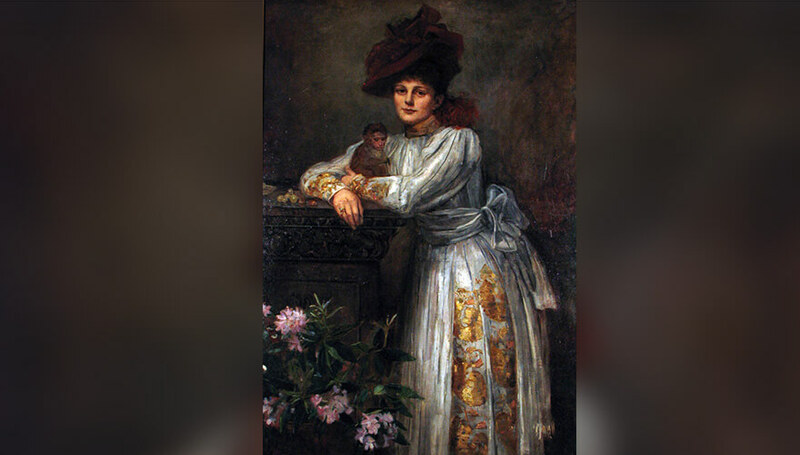 You can catch this 1898 depiction of Maud Gonne and her pet monkey on one of the free tours of the Áras an Uachtaráin that run almost every Saturday of the year. It is an arresting almost life-size portrait depicting Gonne’s playful side. Sarah Purser was involved in the establishment of the Hugh Lane Gallery and worked mainly as a portraitist. Her belief that Ireland could regain its national self-sufficiency in the arts put her in sympathy with some of the ideals of longtime friends such as Maud Gonne. She would go on to paint many of the revolutionary figures who would feature in the story of new emerging Ireland. 8. Lucian Freud – Reflection, Self Portrait. Painted in 1985, this self-portrait is in keeping with Freud’s declaration that, “My work is purely autobiographical. It is about myself and my surroundings.” He stated that he wished to paint naked people, not nudes – they must be real and revealing, “really shameless”. This painting is typical of his work of the time, thickly applied paint that is almost tactile. He is in his sixties at the time of painting and spares himself none of his famous scrutiny of flesh. 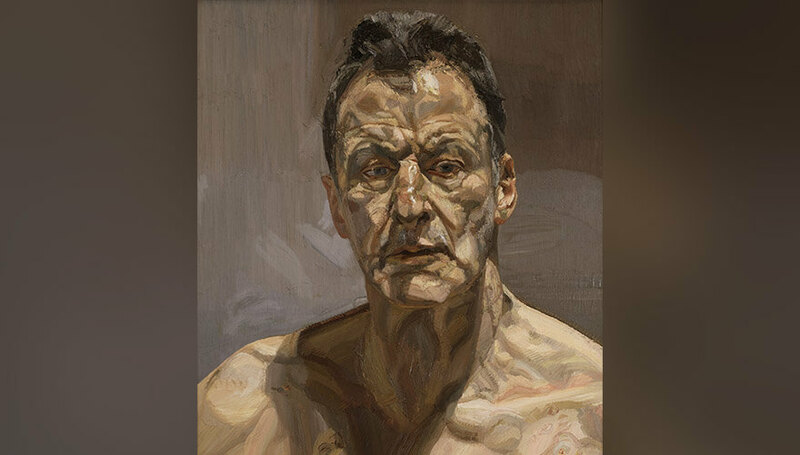 IMMA has secured a five-year loan of 52 works by Lucian Freud, one of the greatest realist painters of the twentieth century. Dorothy Cross is one of Ireland’s leading contemporary artists working in a range of disciplines, often focusing on a humorous interplay between man and nature. 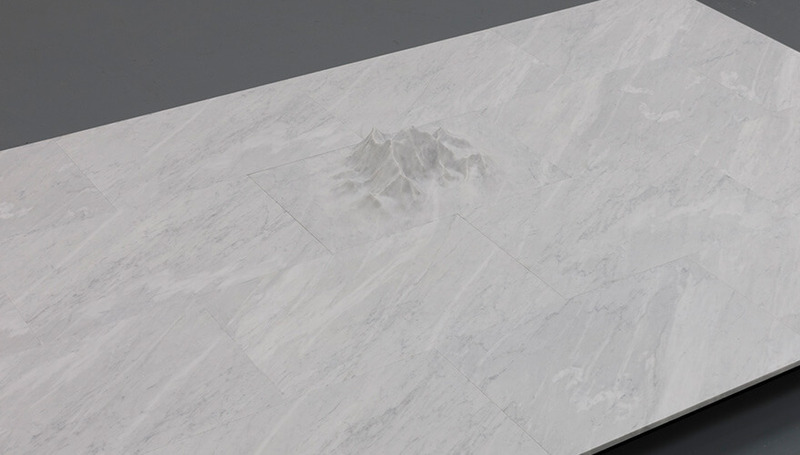 In an exhibition opening this May, she will present new sculptures such as Everest Floor in which the peak of the famous mountain emerges from marble slabs on the floor. This has echoes of the humour and irreverence in her most famous work, Teacup: a photograph of a porcelain cup with a section of film from iconic Robert Flaherty’s iconic Man of Aran sitting within the rim. 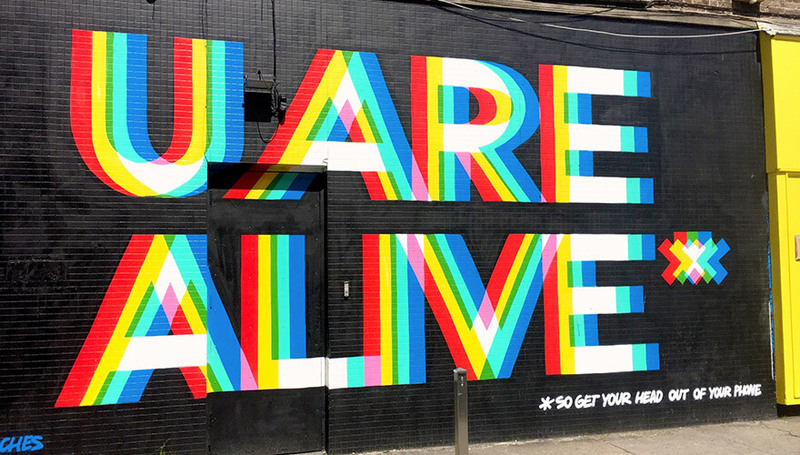 Maser is one of Ireland’s most famous street artists and on the corner of Grantham Street and Camden Street in Dublin 8 is one of his most famous pieces of street art, a huge declaration that U ARE ALIVE, updated in the colours of the pride flag in the months leading up to the 2016 Marriage Equality referendum. His street work is strongly influenced by typography and sign painting and is often contains a positive political message with the aim of “interrupting the landscape”.